The contradictions are plentiful: many an old-time whisky drinker will cite Macallan as their go-to drop. Yet the distillery spent a fortune to get a bottle of 50 Year Old in a Bond film. And for some reason they recently ditched age statements in favour of… colours? And yet not too long ago there was also Macallan’s ‘Fine Oak’ range, one such bottle being the subject of today’s review. I don’t get the point of the ‘Fine Oak’ series. As far as I can tell, it takes its name from the many “exceptional quality” oak casks the whisky was matured in. But… does that mean their older range was dumped into low quality barrels? Somehow I doubt it. It seems to be another rebranding dead-end left by the wayside by an impatient marketing team. Despite all this, the whisky itself is great to drink. The nose is light, vibrant and contains finely balanced notes of vanilla and lime. The palate is sweet without being sickly and flavours of honey and malt take centre stage. The finish is short without being unsatisfying, with a creamy nuttiness that gently lingers: it’s Kellogg’s Crunchy Nut in whisky form! All up, it’s a brilliantly balanced dram, and one that you could confidently pour to a hesitant whisky drinker. 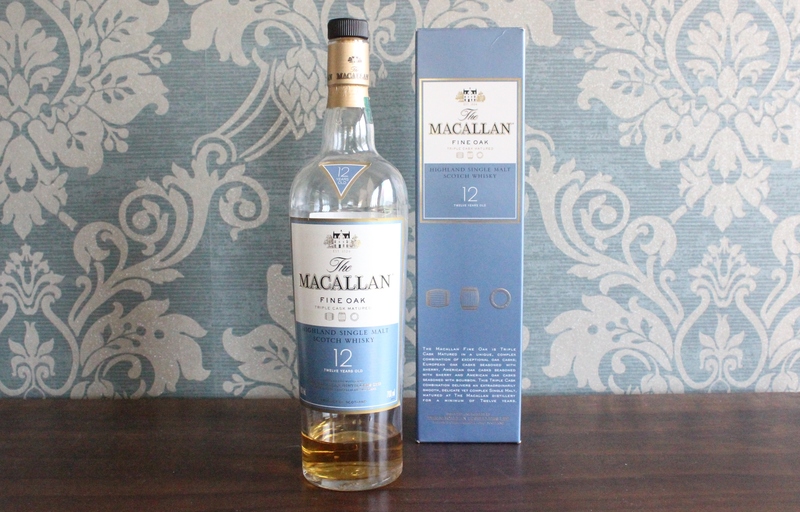 The biggest disappointment is that this bottle is no longer available – if I were to seek something similar I would have to try a different bottle in the Macallan range. As much as I enjoyed this particular drop, I’m wary to spend up on something else from the distillery. Macallan seems to be undergoing somewhat of an identity crisis and I’m probably unlikely to go and buy a bottle until they sort it out – that is unless I get some pretty convincing recommendations in the comments! 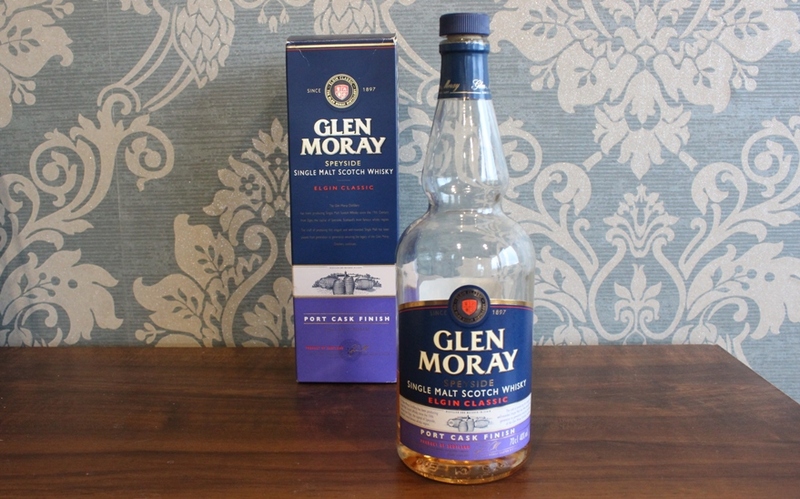 As an out and proud fan of Glen Moray distillery and a waffler known to be partial to a little port matured whisky, the Glen Moray Port Cask Finish sounded like the perfect dram for me. Combining the sweet elegant Speyside flavour with a rich wine-infused layer – what could possibly go wrong? As it turns out: quite a lot. Upon its arrival at my door, I eagerly whipped the bottle out of its box and was greeted with the most peculiarly coloured whisky I had ever seen. I’ve observed variations of the (hilariously unintentionally poetic) “burnt crimson” theme before, but this whisky was – and there’s no more accurate description – orange. It was the kind of radioactive-peach hue normally reserved for fake tan. Alarm bells were ringing – but I didn’t want to fall into the trap of judging a book by its colour. There was only one thing to it – I had to try some. After the first sniff it was clear that I was not trying a regular Speysider here. There was a lot of fruit – by which I mean a veritable orchard’s worth – and it was overripe, perhaps on the turn and ready for the compost heap. There were some bitter dark chocolate notes as well as equally bitter notes of wet grass. All in all, it was… shall we say memorable. Surely the palate would be an improvement. And it was, albeit slightly. It was sweet and sticky with strong winey notes combining to form something reminiscent of strawberry jam. Don’t get me wrong, I love me some strawberry jam. Just this particular fruit spread was more Woolworths brand rather than homemade by my Grandma. The sweetness was more of a sugar syrup than a caramel and the vanilla more essence than extract. The finish started strongly with some nice blackberry flavours but descended into a rough spicy alcohol burn, surely a product of its youthful non-age statement nature. I did not love this whisky nearly as much as I expected. All things considered it was more than a little, well, rubbish. However, I can’t say I’m unhappy that I bought it. Scotland is hugely diverse in its drams and this is as far removed from an elegant Speyside drop as an Islay peat monster. Unfortunately in this case – the differences are not for the better. The art of independent bottling is a fascinating one, taking the product of a distillery and aging it oneself in a new and interesting way. If performed successfully, the end product should hark back to it’s origins and yet metamorphose into something beguiling and delightful. A whisky butterfly if you will. WM Cadenhead Ltd is Scotland’s oldest independent bottler, established in 1842. As such, they have had some time to perfect the art and their releases tend to command considerable respect. The William Cadenhead Single Speyside Scotch Whisky that I was fortunate enough to try was a mere 40 years old! While the bottle did not reveal the origin of the spirit, I have been told that it allegedly contains spirit from Glenfarclas, a family-owned distillery steeped in tradition. On the nose the William Cadenhead 40yo is like timber polished to the smoothness of glass using the finest vanilla and caramel scented beeswax. In the mouth the spirit is what I imagine drinking satin would be like, rippling folds of cool smoothness sliding over the tongue and susurrating down the throat. The flavour is the lightest touch of honey, tree spices and dried fruits. 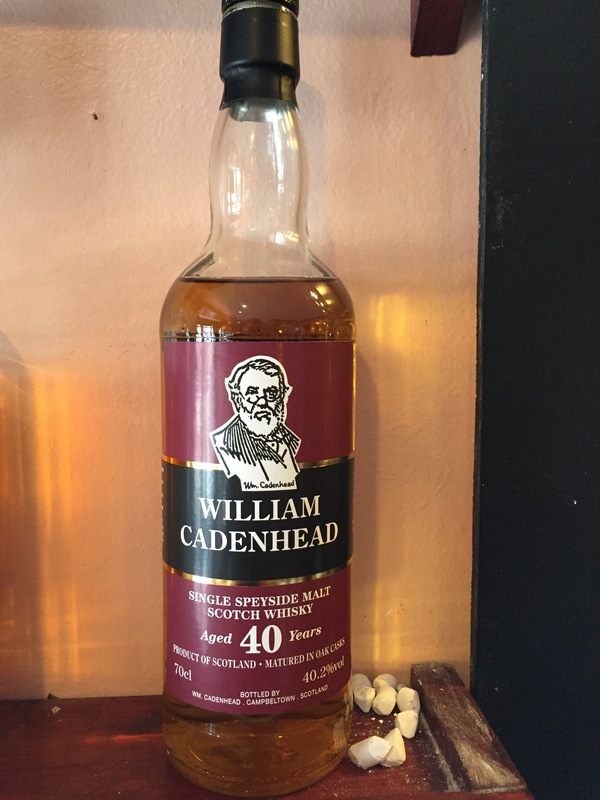 If you are ever fortunate enough to come across the William Cadenhead 40yo I would highly recommend taking the opportunity to try it. This is independent bottling at its most elegant. 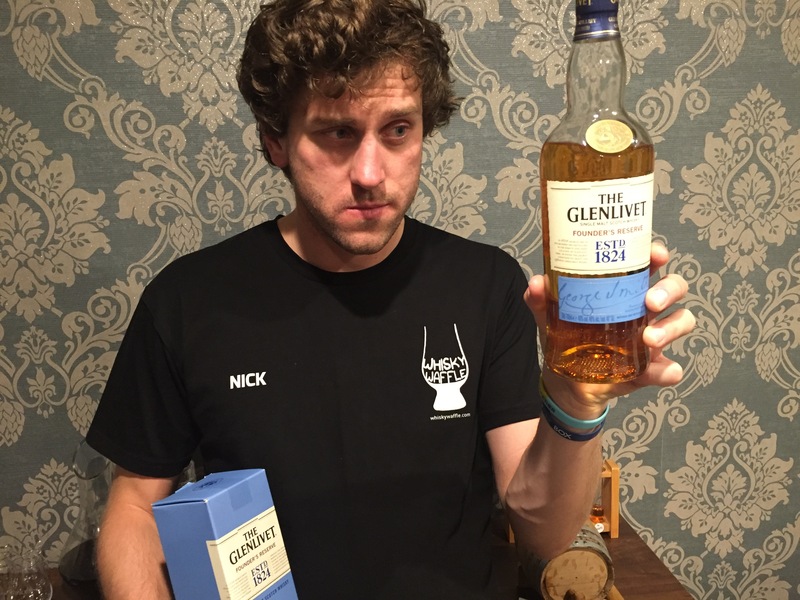 In 2015 we farewelled a Whisky Waffle favourite son, the Glenlivet 12. It was there to share the laughs when we held cards nights, to comfort us when we’d had a rough day at work and raised high when we rung in the New Year. Sadly Glenlivet, in their ultimate wisdom, have retired the 12 for the foreseeable future. But fear not – they have introduced a direct(ish) replacement! It comes in shiny blue packaging so it must be good, mustn’t it? 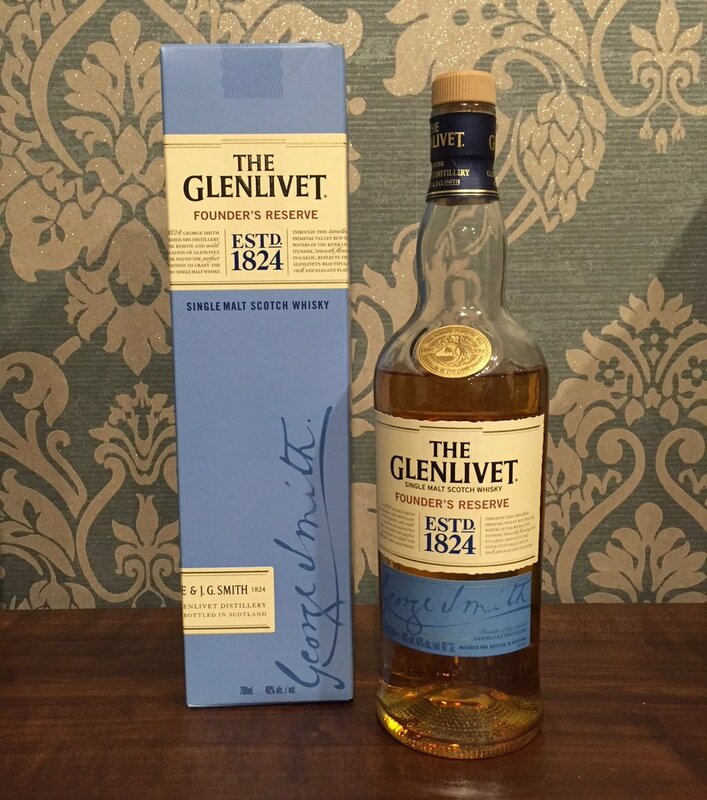 Ladies and gentlemen, I present to you the Glenlivet Founders Reserve. On the nose, I found the Founders Reserve has plenty of caramel and some dry malty notes. An acceptable, if not auspicious start. So I took a sip. This turned out to be an error. There’s an unpleasant sweetness in there – a sugary, treacly flavour lacking in any complexity. It’s not bad per se, but there is a distinct manufactured, home-brand quality about it which is hard to enjoy. The finish is warm and spicy, almost tangy on the back of the tongue. Finally there is the merest hint of raisins, a cameo appearance that leaves you wishing there was more to be found. I cannot say that the Founders Reserve is particularly offensive in its flavour. But I can (and do) claim that it is all a bit bland and inconsequential, bordering on boring, which disappoints me greatly. Glenlivet are truly great makers of Scottish whisky and it saddens me to think that a generation of whisky drinkers will discover the distillery via this disappointing bottle. Without doubt there are similarities in flavour between the Founders Reserve and the 12 Year Old – they are both obvious Speysiders full of caramel and honey. But the 12 Year Old has so much more going on than the NAS bottle. There are subtle complexities to be found throughout the 12 which the Founders lacks. The Founders Reserve is the Coke Zero to the 12’s Coca-Cola.